LOTS Wholesale Solutions, a part of the $50 billion Charoen Pokphand Group ("CP Group") and a wholly-owned subsidiary of Siam Makro Public Company Limited ("Siam Makro") from Thailand, has unveiled its third wholesale distribution centre in India at Ithum, Sector 62, Noida. In 2018, the company inaugurated their stores at Netaji Subhash Place and Akshardham. The three stores, opened within a span of seven months, will cater to a total of 1,40,000 registered customers in Delhi NCR. 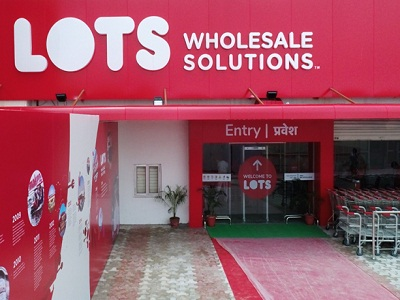 LOTS Wholesale Solutions store in Noida is the first step towards the company's commitment of investing Rs 250 crores in the state of Uttar Pradesh. The expansion plan will witness the opening of more stores in the state in the coming years. The new store in Noida is spread over an area of 50,000 sq ft and will provide its customers with more than 5,500 assorted products in food and non-food categories. It will cater to over 40,000 business customers with a diverse clientele including Kiranas, hotels, restaurants and caterers (HoReCa), corporates, MSMEs and institutions such as government agencies, educational institutes and hospitals from the catchment area. Tanit Chearavanont, Managing Director, LOTS Wholesale Solutions, said, "Following our values of victory, we have outperformed ourselves and unveiled the third store within a span of seven months. As promised, we delivered our two stores in 2018. Uttar Pradesh was an obvious choice for expansion after Delhi NCR, owing to the proximity to the enormous market opportunity in the state. It fits well within our cluster strategy for the business in India. Aided by government support, we aim to establish an environment of mutual growth for farmers, traders and our business in the state. We will work directly with them to establish a strong supply chain and the demand for their products."